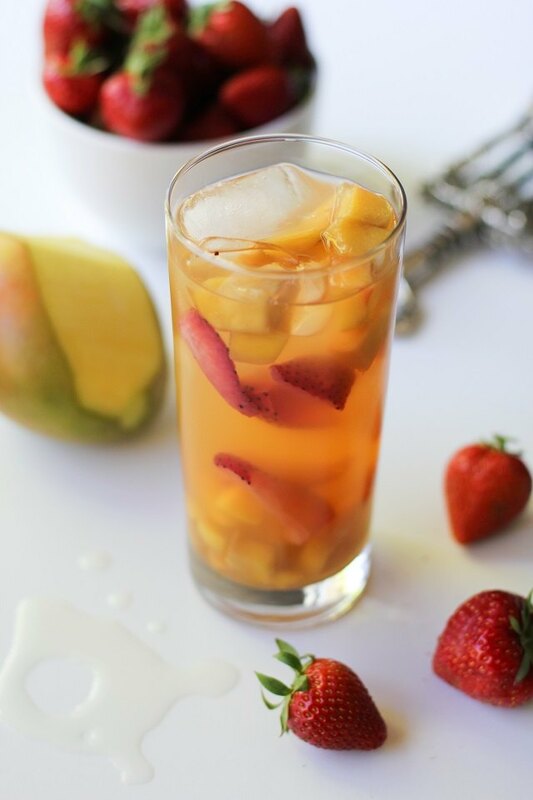 White sangria is a crisp and refreshing wine-based cocktail you can enjoy year-round. This drink is often prepared ahead of time in a large batch so the fruit can absorb some of the alcohol flavor and in turn provide flavor to the cocktail. The longer the sangria sits in the refrigerator before serving, the more flavorful it becomes. Method: Stir together all ingredients in a large pitcher, preferably glass. Cover the mouth of the pitcher with plastic wrap, and refrigerate 2 to 12 hours before serving. When ready to serve, fill glasses with ice and pour the sangria over the ice. Be sure to add some of the fruit to each glass. You can also add herbs and spices such as cinnamon, fresh mint, basil or rosemary. 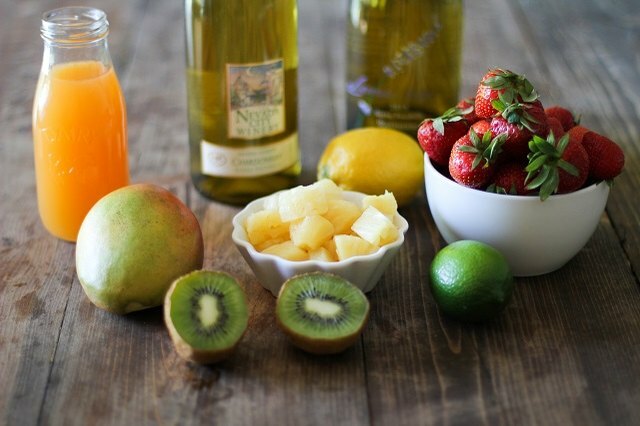 For the best result, be sure to use seasonal fresh fruit and 100 percent fruit juice in your white sangria recipe. Method: Combine all of the ingredients in a large pitcher and stir well. Cover the mouth of the pitcher with plastic wrap and refrigerate at least 2 hours before serving. 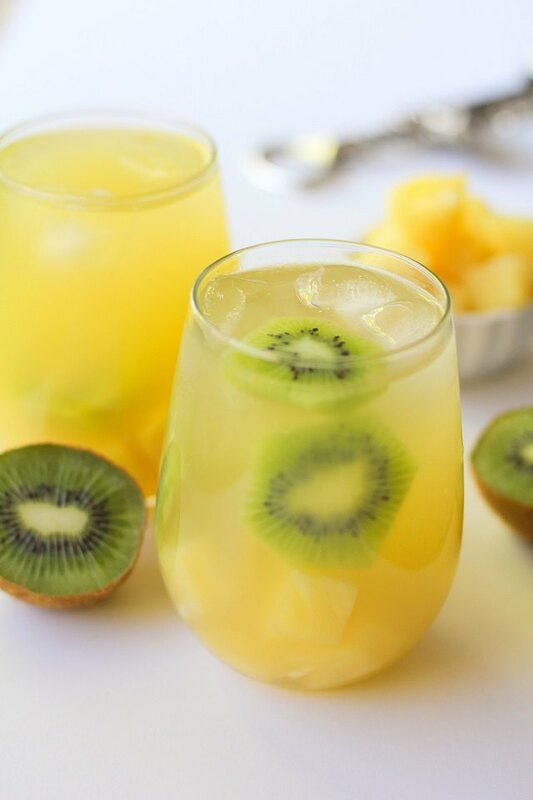 Serve with ice, and make sure some of the fruit gets into each glass. Method: Combine all of the ingredients in a large pitcher and stir vigorously. Cover the mouth of the pitcher with plastic wrap, and allow it to sit at least 6 hours before serving in order to ensure the cinnamon sticks infuse the cocktail with flavor. When ready to serve, pour the liquid and some of the fruit into glasses filled with ice. Method: Combine all of the ingredients in a large pitcher and stir well. Cover the mouth of the pitcher with plastic wrap, and refrigerate at least 2 hours before serving. To serve, fill glasses with ice and pour the sangria over the ice, including some of the fruit.